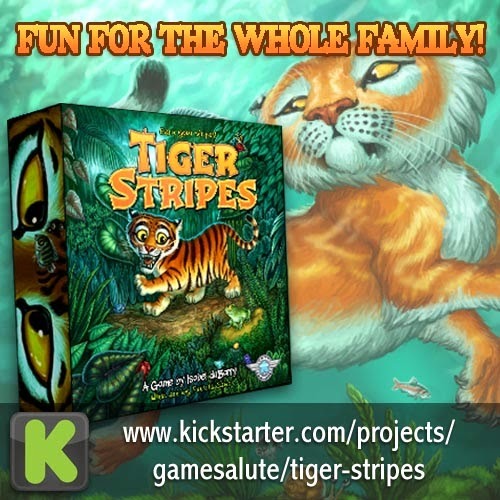 With your help, we made our funding goal for Tiger Stripes! Woo-hoo! Thank you so much for all the support. Whether you shared, retweeted, backed or prayed, Isabel and I want to express our gratitude. We'll be making a little "Thanks" video tonight as part of the celebrations! 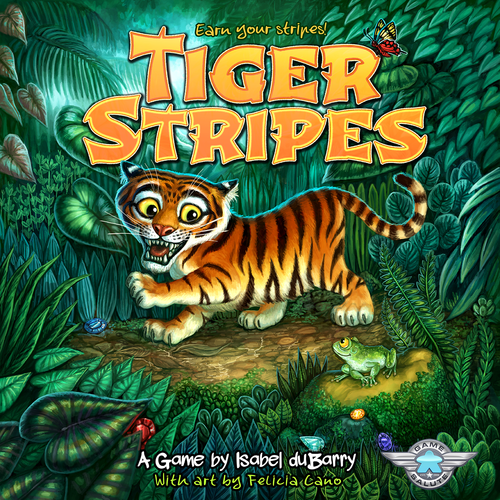 As I'm writing this, we have only 68 hours to fund Isabel's Tiger Stripes game on Kickstarter. We need just a handful of backers to make it over the top. Please consider backing this project or sharing the KS link in this final stage of our campaign. Thanks! As a sometimes substitute teacher, I often face long stretches of sitting at a desk with not much to do (that is, if the kids are all behaving reasonably well). Usually I read. However, the other day I took some time looking into a game design problem. One of my upcoming games is called Hitler Must Die. It's a gritty cooperative game where players are German citizens, soldiers, and officials trying to assassinate the tyrannical leader of Nazi Germany. In the game, players collect cards and items (combined with location and timing) to setup a successful plot. The game ends with a single roll of the dice. There are many variables and modifiers going into this dice roll, but players just have to roll a high enough total to overcome the current threshold (determined by Hitler's security stance and military support). Rolling well will mean winning the game. Rolling badly doesn't necessary mean you lose, but it makes things much, much worse. Please know that I'm not a mathematician by any means. It was quite a struggle to get this right--and there might still be a few inaccuracies. Nevertheless, I think I've gotten pretty close. I figured out the probability for each threshold and graphed the results. What you see here is the probability of getting at or above a certain total of the dice (both 2 and 3 are shown). The higher the total you are aiming for, the less chance you have of hitting it. This is not surprising. However, what I did find interesting was the shape of the curve. 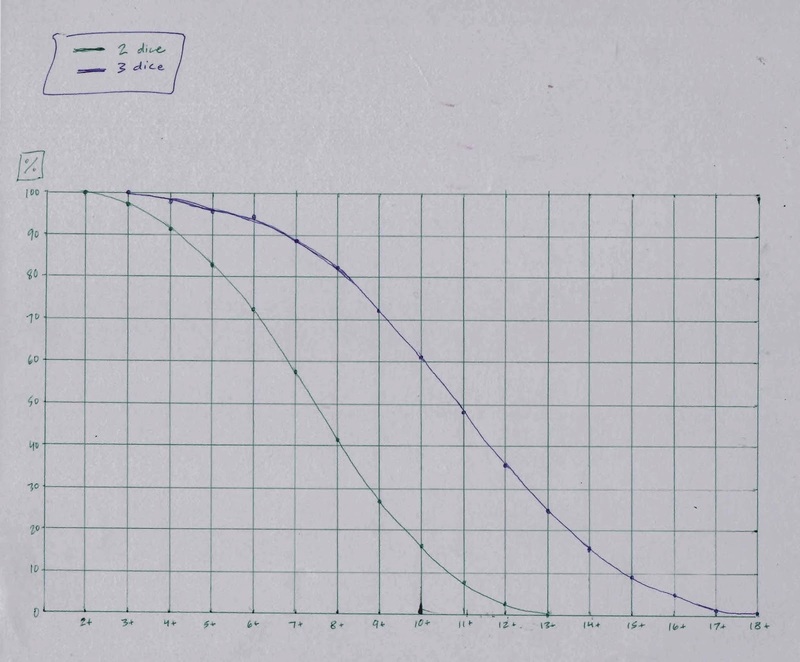 Your chances are greater than you might suspect at the top and bottom of the graph. I've not spent much time applying this to game design, but you can quickly see some of the possibilities. 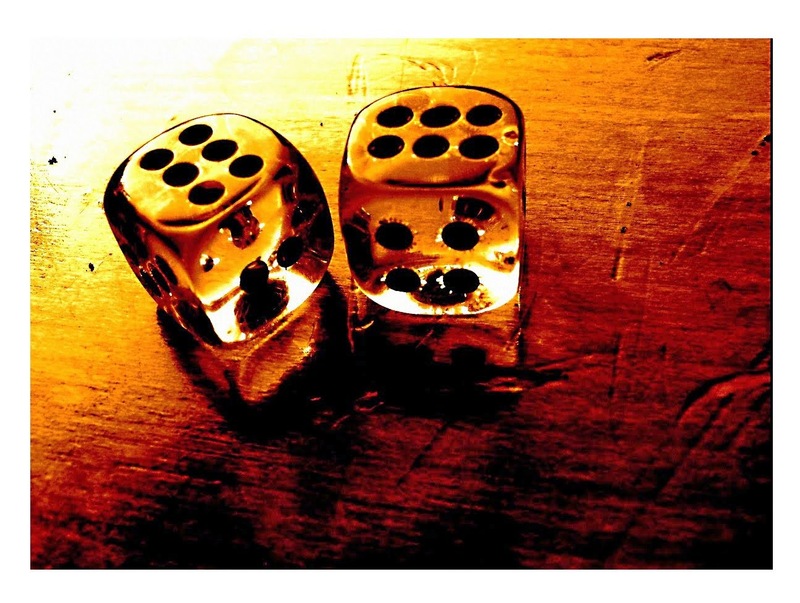 For example, you can see the improvement of your odds by adding another dice. I imagine this would increase in a similar way for four dice (but I haven't checked yet). You can also see how changing the target threshold would make things easier or harder for players and by how much. I can imagine having players buy extra dice or buy an easier threshold in a game. I'd also like to graph something beside standard 6-sided dice. That could be interesting to play with. Feel free to use this information as you see fit. I'm sure there are other websites that lay this out in more detail, but I thought I'd pass this along anyway. Happy game designing! We will be contacting the winner shortly. Thanks for all your help with the campaign! Just as an update, we has a little under a week to go and still several more backers to round up. Please help us get those backers before the deadline! 1. This contest will run from today until next Monday, March 17, at 12:00 noon. 2. You can get one entry for posting a link to the Kickstarter page on all of the following: Facebook, Twitter, and any other social media site of your choice. 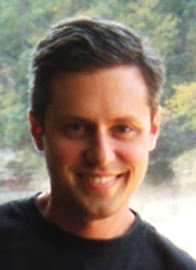 Below is an image to pin if you are into Pinterest. Let us know you did this in the comment section below. 3. You can get a second entry for writing a short article about the game on your blog or placing a Kickstarter page widget on your blog (click on "Embed" under the Kickstarter video). Let us know you did this in the comments below with a link to your blog. 4. You can get a third entry by backing the project at the $35+ level. People who have backed the project before today will still get an entry. Of course, we still want you to post and share out of the goodness of your heart! 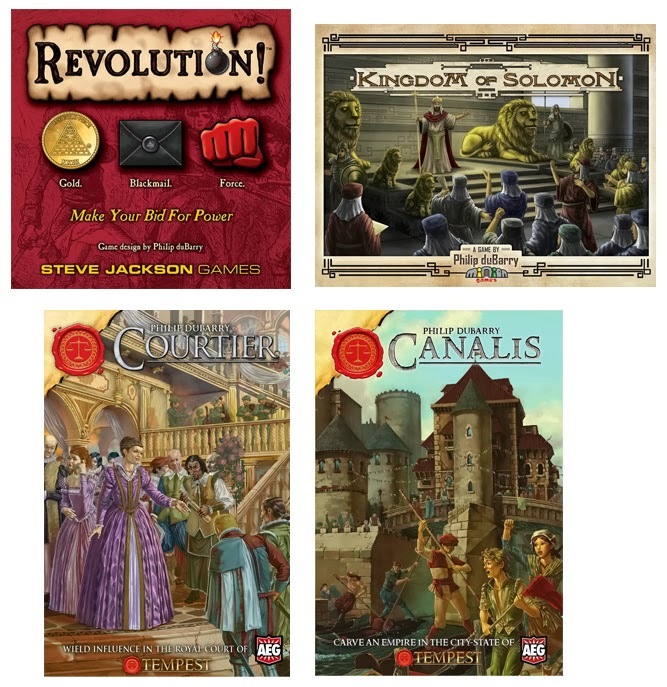 Your game will be signed (if desired) and shipped free of charge (lower 48 USA only). If you live outside the USA, I will pay the first $10 of shipping and you will be responsible for the rest. Your chances of winning one of these prizes is pretty good! Take advantage of this exciting contest and help a young designer realize her dream! 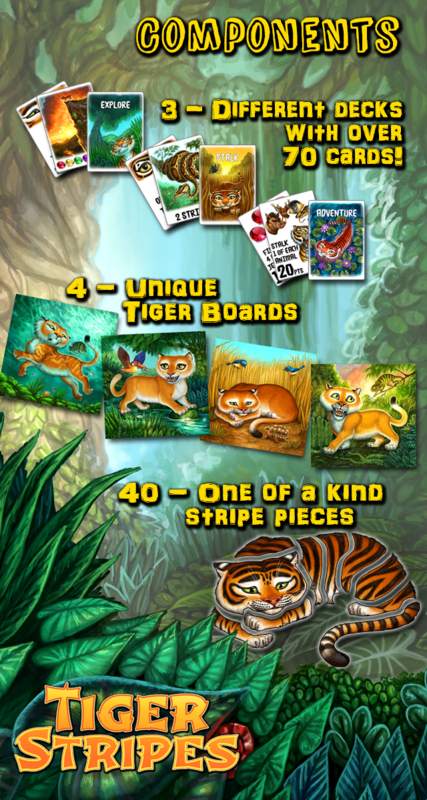 After a LONG time of waiting, Isabel's game, Tiger Stripes, is now on Kickstarter. 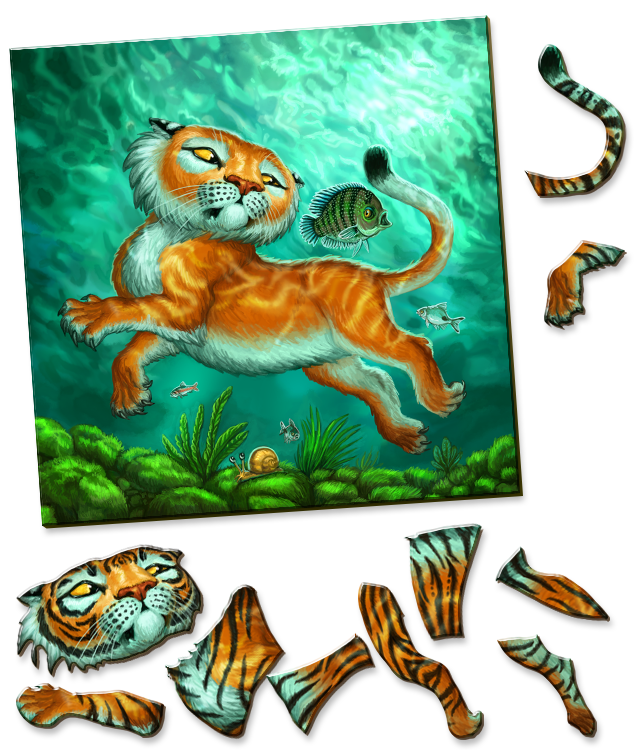 This all-new, professional edition of the game, published by Game Salute, features four unique tiger board puzzles as well as fantastically-illustrated cards. This version also includes a third deck of cards called the Adventure Deck. This deck allows you to get bonus points for collecting certain sets of cards, and adds a new level of strategy for more experienced players. Our first day went very well, and we'd like to continue that during the coming days. Our goal is a modest $3,500. Nevertheless, we need your help to make this new version a reality. 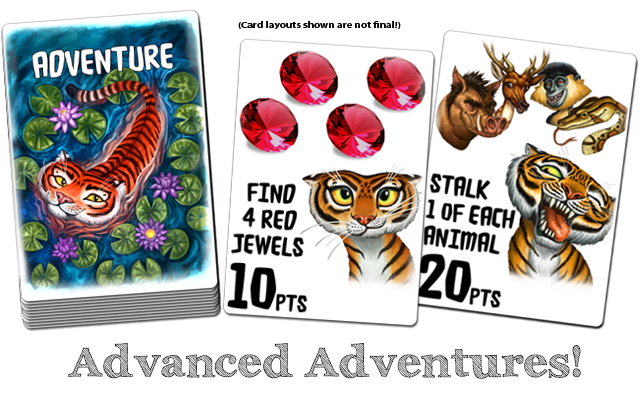 Support a young designer while introducing the kids in your life to a wonderful new adventure! Please consider pledging today--thanks.